I was finally back in Vienna, Austria, after having visited the city for the first time ages ago during a European round trip, using the, at the time, so popular Interail ticket, which gave you access to unlimited travelling by train through the European region/s of your choice. At the time, I decided, together with my sister, in a courageous and rather naive act, to travel to as many places as we possibly could during the validity of the ticket. We visited 13 cities in 4 weeks, crazy! Obviously we couldn’t see much of every city and we just visited the main attractions on our check list. 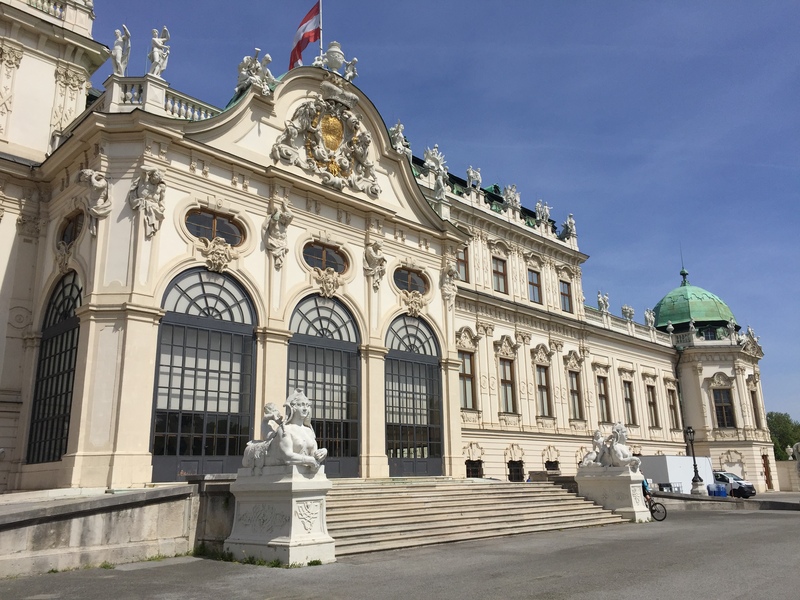 Vienna was one of the places I liked the most in that rail trip and I promised myself to go back one day and spend more time wandering through its sumptuous avenues and, above all, to spend as many hours as necessary visiting its extraordinary museums. I finally accomplished my promise last week, 19 years later. Many of you will know that Vienna is famous for its coffeehouses. To be honest, this is something I didn’t recall from my first visit, but it doesn’t surprise me since I was traveling without a penny, surviving on cheese sandwiches from supermarkets. The coffee culture is very important in Vienna, you will see plenty of locals sitting outside elegant coffeehouses enjoying a cup of the aromatic beverage with a croissant. 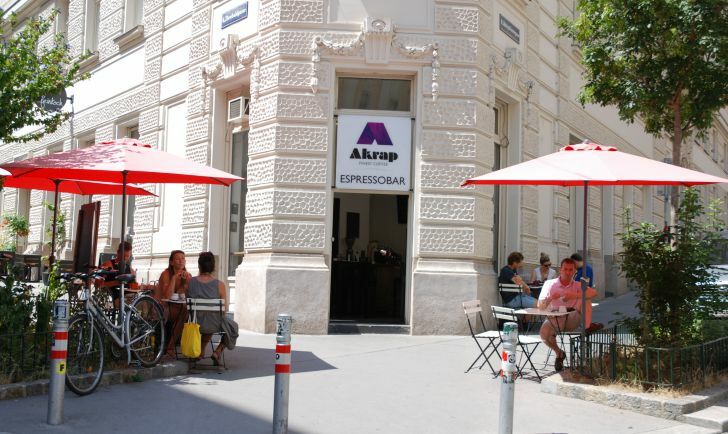 We tried several coffeehouses during our stay (we just can’t resist the aroma) but our favorite one was the first one we visited, Akrap Coffee, a little Espresso bar with only a few tables outside on the pavement, where they sell their own coffee. 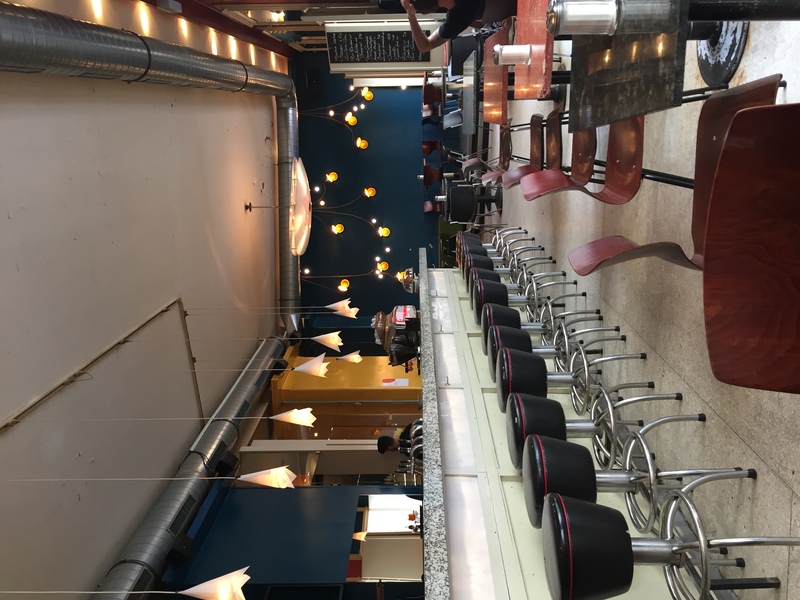 We chatted with the owner, a really friendly Viennese, who educated us into the different kind of coffee grains and diverse ways of preparing a fine cup at home. The aroma and taste were mind-blowing so we had to ask for a second round and took some coffee packs home with us. We accompanied our coffee with some croissants from a close by organic bakery, Gradholl, which were deliciously unusual. Ours were filled with figs’ marmalade. A bonté! After such an amazing breakfast we decided to walk the distance between the Museumsquartier and the Belvedere museum. This last one was on my to-do list since the first time I was in the city, when we walked all the way there to find its doors closed for it wasn’t opened on Mondays. Luckily the museum is now open daily until 6 pm. 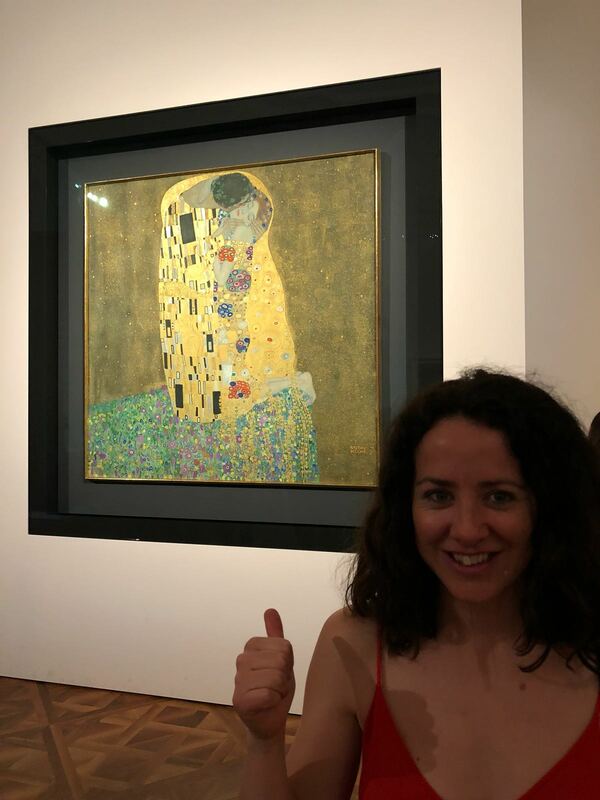 It’s located in a beautiful palace and it hosts an impressive permanent collection of modern art, mainly from the Secession movement and its main representative, Gustav Klimt; there you can find his famous painting The Kiss. You won’t have problems identifying its location in the distance for there is a permanent crowd in front of it. 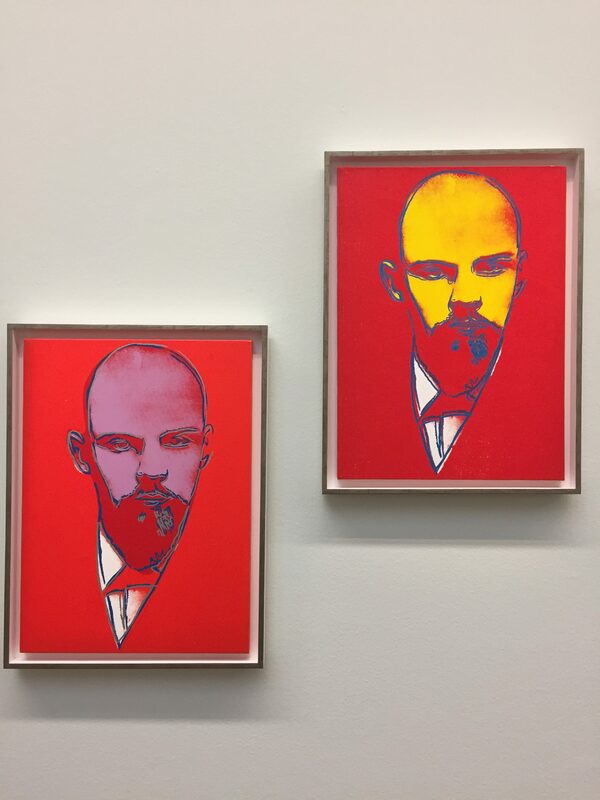 They even have forbidden to take selfies with the painting and have put a copy of it in the next room for this purpose. The selfie era! We saw many other masterpieces like Adan and Eve, Judith, and even his unfinished last painting, The Bride, to name but some of the most popular ones. We looked at paintings of Oskar Kokoschka, Egon Schiele, Fritz Schwarz-Waldegg, as well, among other masters. Be prepared to spend at least 3 hours distributed among both of its two buildings if you happen to like this period and place in the history of Arts. Let’s say that I could almost move in the Belvedere, this is how much I like this art movement. If you need a rest between masterpieces, you can walk in the gardens around the palace and sit for a coffee (although you will feel a bit disappointed after having tried Akrap coffee) in the museum cafe or relax on the benches. After the museum, we walked all the way back to one of the hip areas of the city centre, just behind the Volkstheatre, and went to an Asian restaurant recommended by a friend, Es gibt Reis. It was a cozy restaurant with lovely staff and incredible food. Its owner is an advocate of Asian food and has created his own tasty recipes from the basics of traditional Thai and Vietnamese cuisine as a depart. We tried the rice balls as a starter and the catfish as main, the explosion of different flavours was an unforgettable experience. Highly recommended! In Vienna you can also rent city bikes if you have a credit card. They use the same system as in other cities like Barcelona or Paris, where you can quite easily register on the machines placed at the bike stations, pay a euro fee and enjoy the first hour ride for free. After the first hour, the tariffs increase progressively, from one euro for the second hour up to 4 euros from the fourth hour onwards. The purpose is that the bikes move across the city and you don’t hog one for the whole day, so you just have to park the bike in one of the stations and pick another bike, if you don’t want to be charged much. Most of the big avenues have cycle paths so the experience was very relaxed, the city is not totally flat, fortunately the bikes have three gears, although they are very heavy so be prepared to sweat lots and have a deodorant at hand when it’s hot. 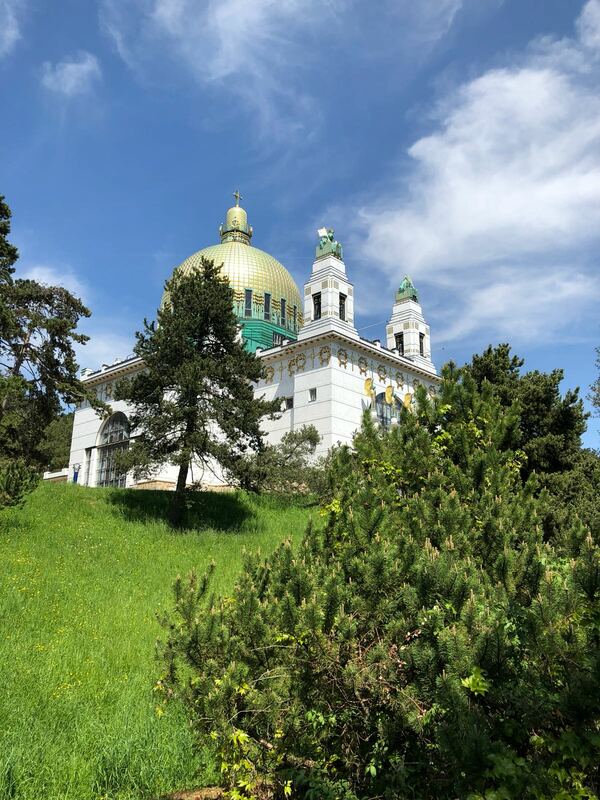 We biked for a while to see Kirche am Steinhof, a modernist church built by Otto Wagner also a member of the Vienna Secession movement. 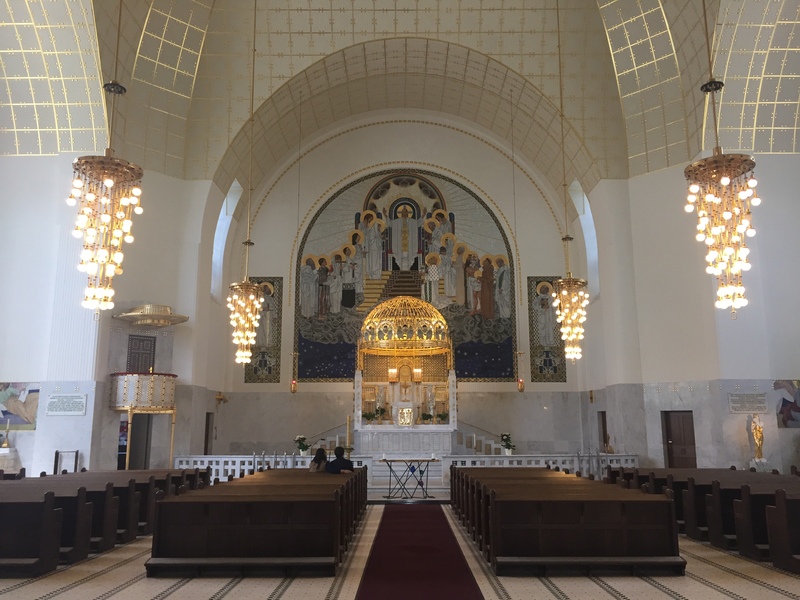 We were very lucky because it is rarely open but when we arrived there was a family with a baby they had just baptized so we could sneak in for a few minutes before they closed the doors again. Lucky strike! After visiting the church we decided to tick another of the things on my wish list, the Wiener Riesenrad. 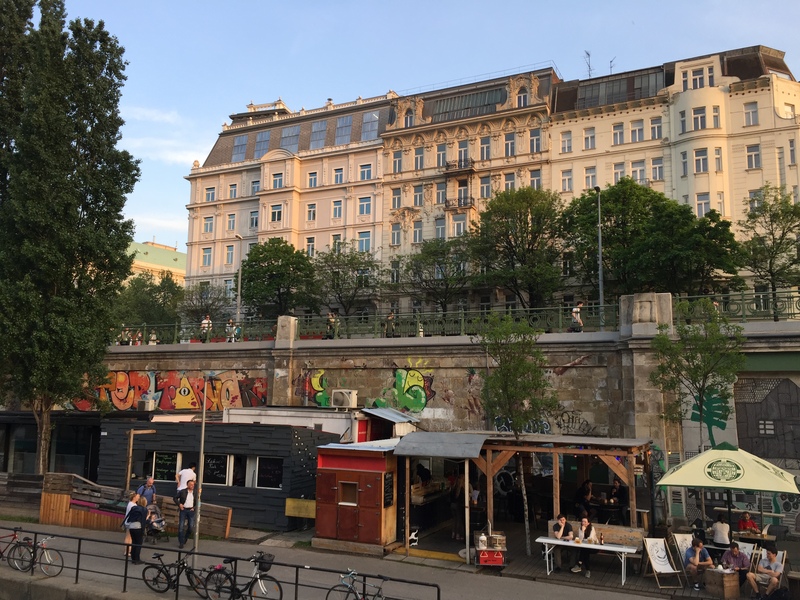 I had been up the first time I was in Vienna following the steps of the characters in one of my favorite films, Before Sunset; Ethan Hawke and Julie Delpy meet and fall in love in Vienna, spending only one day together in the city. In one of the scenes they go up into one of the carriages of the old wheel to enjoy the views so my sister and me did the same, while dreaming about being in love. This time I wanted to go back and recall that sweet moment of my youth. What a disappointment! When we arrived at the site we found an endless queue inside an awful visitors centre, where they were taking photos of tourists sticking their heads out some ridiculous panel with the image of the carriages. Nevertheless we waited in the queue, but after 5 minutes I read that they had recently replaced the carriages and were no longer the ones displayed in the film and those I’d been in 19 years ago, so we decided to leave. Not everything can be perfect in this world of mass tourism! We decided to chill out instead on the terrace of one of the nice boats docked by the Danube and enjoyed the last sunlight of the evening drinking a beer. There are many bustling bars and restaurants along the river banks, perfect for sunny days. Wondering the streets in search of a bar where to drink the last one before bed, we stepped on the Bukowski Pub, we didn’t think it twice and went immediately inside where we found a cocktails happy hour and lots of smoke coming from the cigarettes in between the young customers’ fingers. 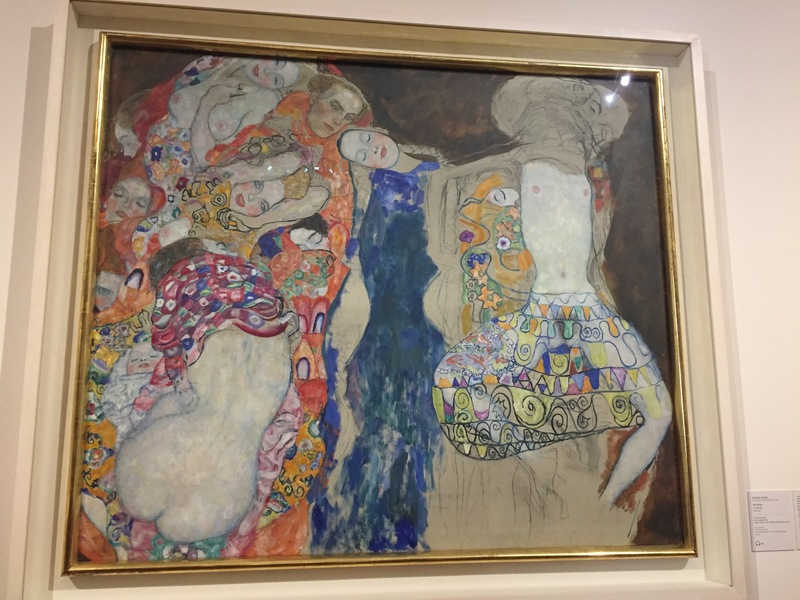 On our last day in Vienna we decided to visit the second most important museum for us (which it would become the first most important afterwards) the Leopold museum, attracted by the special exhibition of Egon Schiele commemorating the 100 years of his death. The exhibition was a pure delight for those of us who like Schiele where we could see most of his work. But the main surprise which we hadn’t expected at all, and the reason we repeated Wow! about 50 times while in there, was the superb private collection of Heidi Horten. I have to admit I didn’t know who this person was before and I had no clue of the significance of her collection. I was so impressed with the quality and amount of works she collected during all her life that I was on the edge of tears for my luck of being there at that precise moment. It’s the first time her collection is on display and I can only say that it’s a one in a lifetime opportunity to see so many pieces of the best and the greatest artists of modern and contemporary art in the same building. 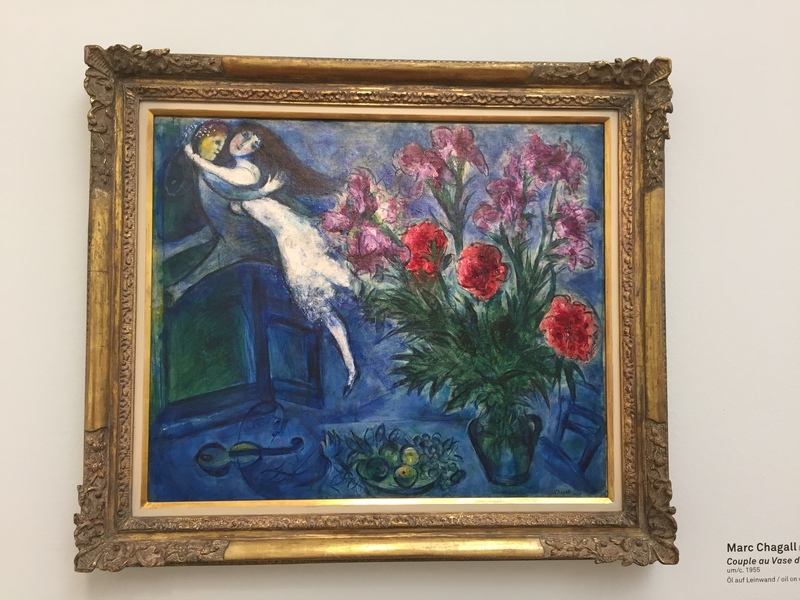 Chagall, Picasso, Andy Warhol, Jean-Michelle Basquiat, Francis Bacon, Karen Appel, Yves Klein, Ernst Ludwig Kirchner, Magritte, more of Schiele… I mean, Wow! Running only until the 29th July, so run, run, run! I had to find more about who Heidi Horten was so I searched the web to find that she is an Austrian born widow of the billionaire businessman Helmut Horten. She inherited her wealth upon the death of her husband, founder of the German department store business, Horten AG. After being overwhelmed with so much beauty during the couple of hours we spent in the Leopold museum, we needed to get some fresh air and eat something. We wandered by the deserted streets of the shopping area (shops are closed on Sundays), and discovered Cafe Europa a vintage cafe with a lot of charm not far from the Museum quarter. We enjoyed a Burrata salad and some delicious Austrian dumplings with eggs before heading back to the airport wishing we could stay at least two days more in the city. I will definitely go back to Vienna and I hope I won’t wait other 19 years for that!